All Centerfire Scanner Dipoles are built to last with weather resistant materials, a rugged design and they’re covered by our Limited Lifetime Warranty! 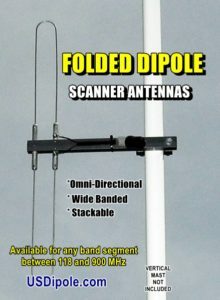 Now you can get the performance of a folded dipole without the expensive price tag. Our folded dipole scanner antennas provide a wider bandwidth than our standard dipole scanner antennas. They are a true 300 ohm antenna and, when combined with an outdoor 300-75 ohm transformer, they provide the best possible match to the popular 75 ohm coax cables. Our folded dipoles also provide the advantage of less unwanted noise and better reception of weaker signals. Choose your antenna from the following band segments or send us an email if you need a different range. Note: The antenna’s actual frequency coverage is larger than is specified in the ranges below. Some frequency bands listed below generally have little or no voice activity adjacent to the band. UV Resistant PVC Type II Boom. Aluminum and Stainless Steel element hardware. Stainless Spring Steel wire elements. Plated Steel mounting hardware designed to clamp to masts up to 1 1/2″ in diameter. Boom Length will vary depending on the frequency selected. Overall antenna height will vary depending on frequency selected. 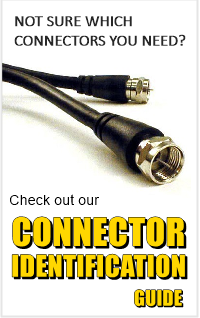 Uses 75 Ohm coax cable, we recommend RG11 or RG6. 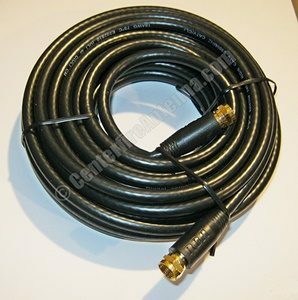 Grounding the coax cable at or near the receiver is recommended. Assembly wrench and instructions included. *NOTE: The 75-300 Ohm transformers installed on our scanner dipoles are not manufactured by Centerfire Antenna and we can only provide a One-Year Replacement warranty on them. 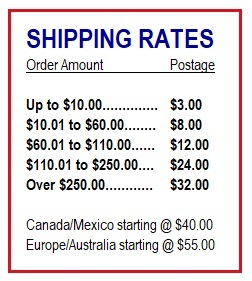 Select a frequency from the drop-down menu below and click “Add To Cart”. You’ll be directed to a Paypal Shopping Cart where you can pay with a credit / debit card or with your Paypal funds.